Now, this is certainly no business blog - never has been, never will be, not least of all because I am not a businesswoman. That said, I've always had a knack for bringing in a little bit of extra money when I need it, from selling my beloved Michael Kors purse on eBay in college to freelancing for Hearst's now-defunct The Mix (RIP) for some travel cash earlier this year. As I blogged this spring, one of my favorite side hustles is Poshmark, a mobile app for buying & selling clothing, shoes, accessories, & more. Originally just a sales forum for women's goods, Poshmark recently expanded to include men's & children's gear, too - which means there's potential for more profit than ever. A few Poshmark users have commented to ask me for tips boosting their sales & making their closets more appealing. I thought I'd share those thoughts here. 1. Take clear, well-lit photos. Not a master of the beautiful flat-lay? Me neither. But as long as you take clear, well-lit photos, you don't need to go crazy with the details. I take all my photos against a solid-colored wall (ideally a white one) during peak sunlight hours, ensuring that clothing is hung from a clear hanger, with sleeves hanging neatly at the sides & everything as wrinkle-free as possible. People want to see what the clothes look like! 2. Set your prices a little bit high - but not too high. Buyers on Poshmar will haggle; it's just a part of the culture. Assume that potential buys will try to bring down your prices, & then price your garments accordingly. People like to feel like they're getting a deal, but this also keeps you from getting ripped off. The other upside to this is that when someone decides not to haggle & makes a purchase at your face value, you'll make a little bit more than expected! Poshmark makes buyers nervous because they can't try on the clothes, & they can't return them. Take away some of the guesswork by including measurements, like shoulder to hem & armpit to armpit. Do all this when you photograph & list the garment; otherwise, you'll have to dig it out of storage later when someone asks about a specific measurement. 4. Use SEO best practices. Good marketers know that search engine optimization is everything when it comes to helping the general public find your product. On Poshmark, this means writing a description that includes keywords your potential buyers would use. Write detailed descriptions that includes terminology customers may search for, including alternative phrases (tee/T-shirt, blazer/jacket, etc.) Does the piece include some special feature? Include descriptive words like "peplum," "scalloped," "high-low," etc., where appropriate to make your items easily searchable. 5. Be up front about flaws. Is there a small stain that you just haven't tried to remove? Note that it's there but that it may come out with a spot treatment. Is there a run or a small rip? Say so. It won't necessarily prevent people from buying - but your honesty will ensure that buyers can't return the item by claiming that your description didn't give them the full story. 6. Respond to inquiries & offers. This is a no-brainer! Respond to questions in a timely fashion to keep potential buyers' interest piqued & to set yourself up as a reliable buyer. Offers expire within 24 hours, so get to those quickly (& don't be afraid to turn down an offer that lowballs you). 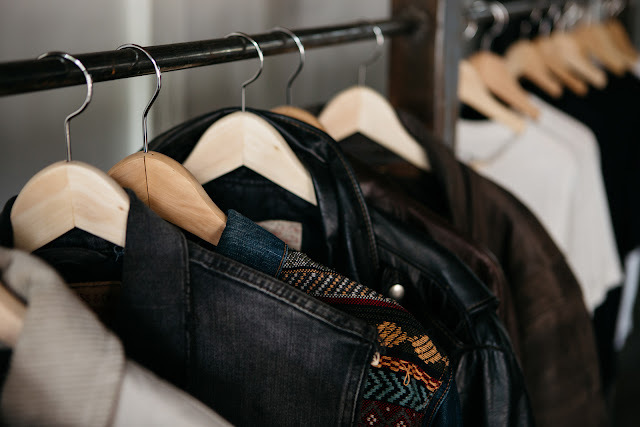 Though it may seem counterintuitive, share items from other users' closets with your followers. I can't say for certain, but I suspect that Poshmark's algorithms actually favor users who aren't selfish with their shares; the more I share, the more people seem to find me! Of course, that could be because it also fosters goodwill with other users, making them more likely to share your closet in return. Poshmark hosts themed "parties," sort of like virtual trunk shows, a few times a day. Join in & share your listings into the party to get them in front of the eyes of potential buyers who might not otherwise find you. If you're lucky, your item may be chosen as a "host pick," meaning it's highlighted by the folks at the party's helm. This can be huge for sales! 9. Add a personal touch. This is a little extra touch that can go a long way, reminding buyers that their clothes are coming from a real person's closet & not a big-name company. Let buyers know when you've dropped their package in the mail, or if you're running on a delay. Include a little note in your package to thank them for buying & to encourage them to leave feedback to boost your seller score. And that's about the gist of it! Fellow Poshmark sellers, have I left anything out? It's not brain surgery, but it can feel overwhelming for new sellers, especially for those who aren't communications-savvy to begin with. Think of Poshmark as an opportunity to market your own closet - & the better job you do of it, the more likely you are to rake in some side cash! If you join Poshmark, use code HMUGD for a $5 credit. Enjoy!